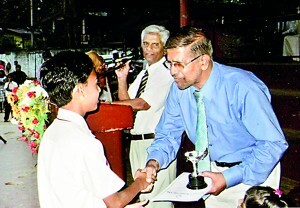 With a tally of 320 points, Green House clinched the championship of the Inter-House sports meet of Gampola International School, which was held at the Gampola Weekulawatta Grounds last Saturday, under the patronage of the principal B.M. Jameel. 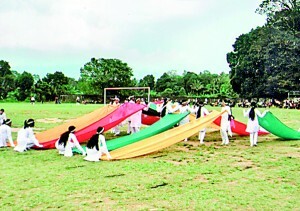 Over 900 students participated in the sport meet representing three houses: Maroon, Green and Gold. Green House were trailed by Gold House who registered 295 points and Maroon, who notched up 282 points. P.R.C.K. 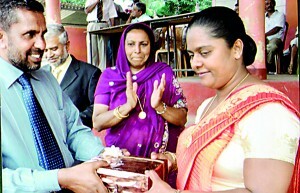 Ranasinghe, Principal of Gampola St. Joseph’s BMV, graced the occasion as the Chief Guest, while U.S. Razak, GIS Director, was the Guest of Honour. Aside from the on-field action, fan were also entertained by the school’s band. 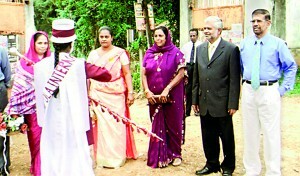 The sports meet was conducted by an organizing committee lead by M.H.M. Zahir, Managing Director of GIS.